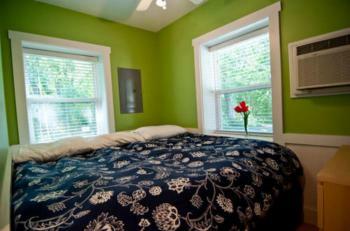 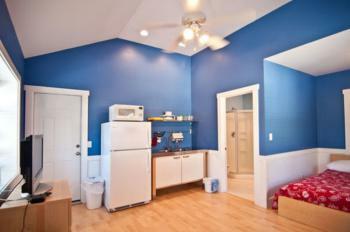 Single cottages are a very nice sized 2 bedroom in it's own building. 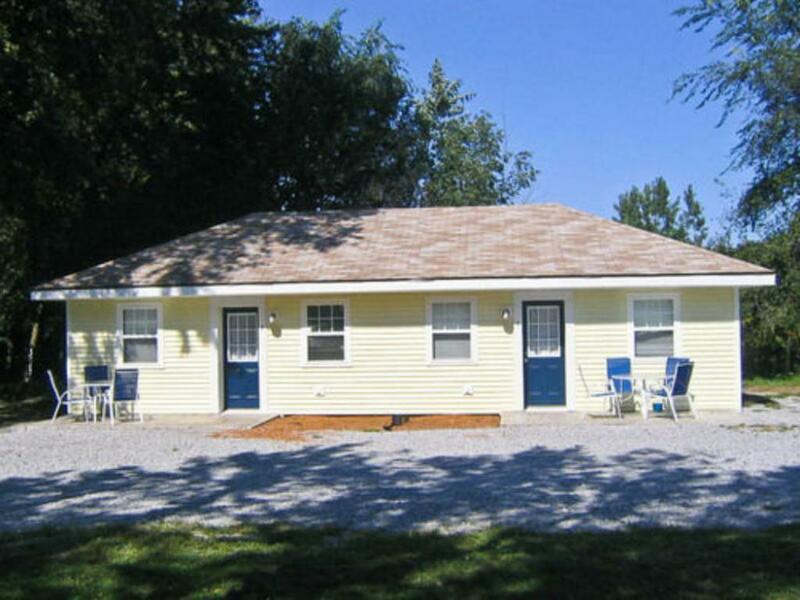 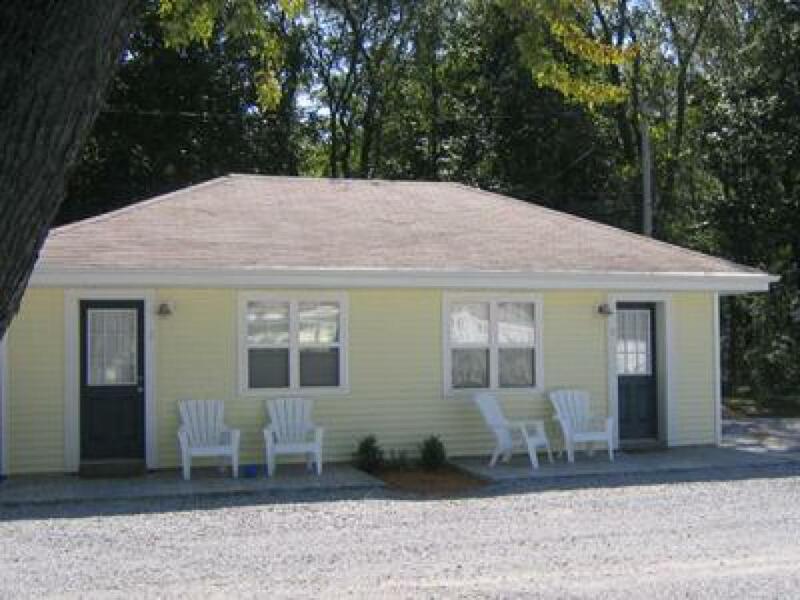 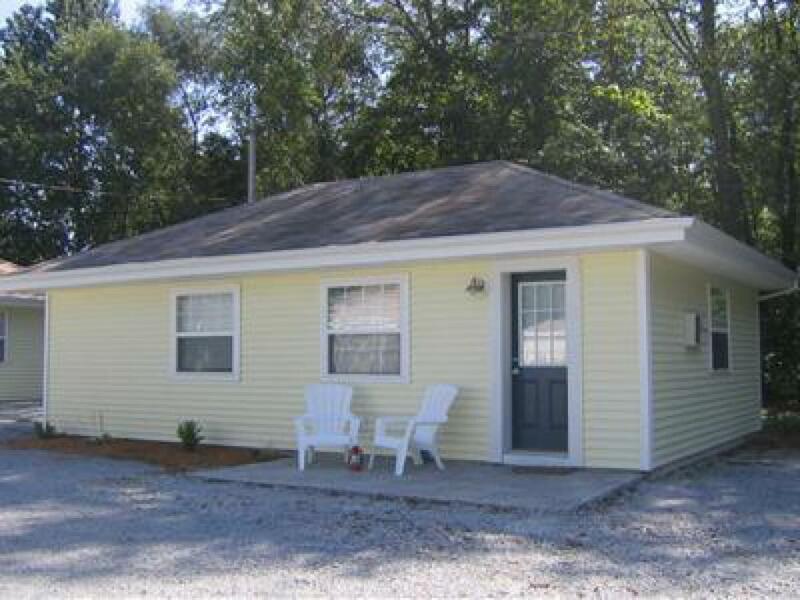 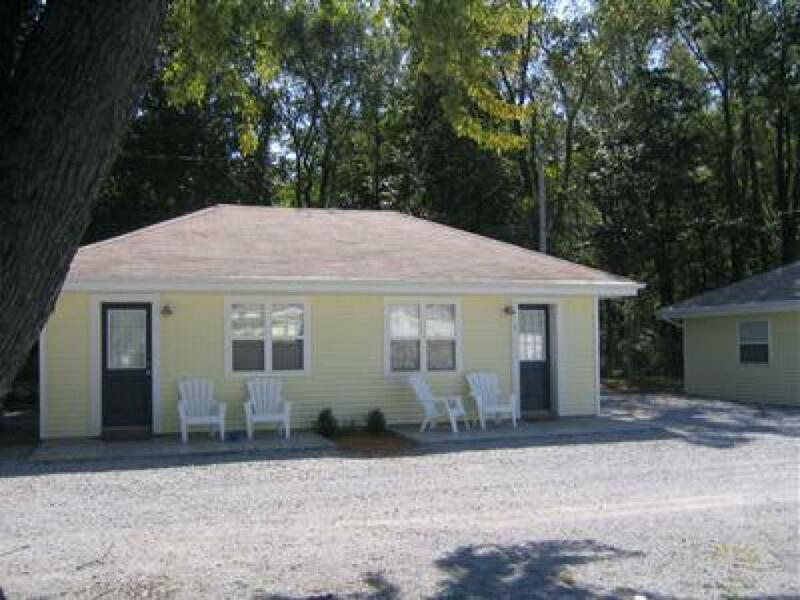 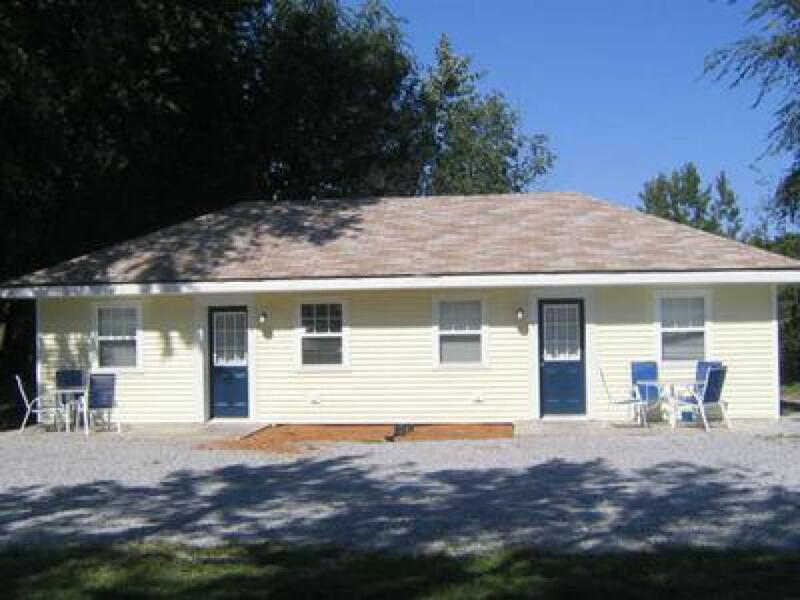 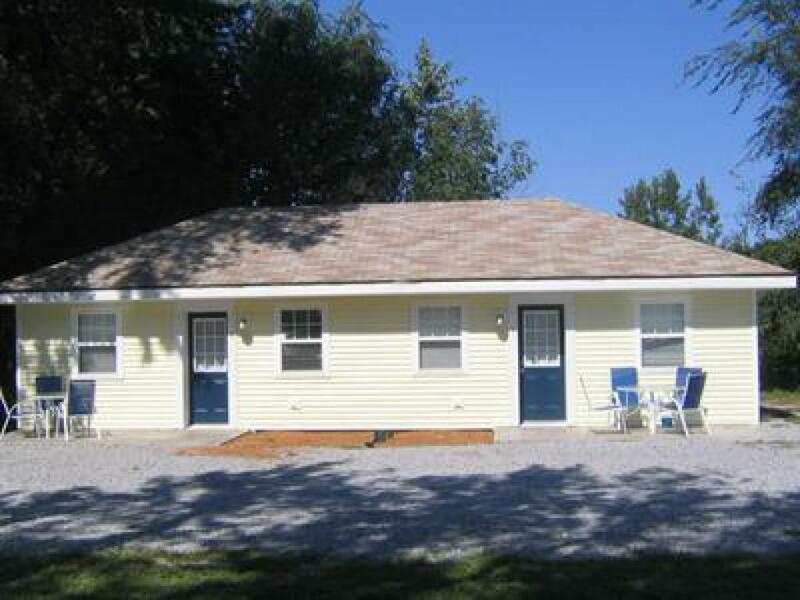 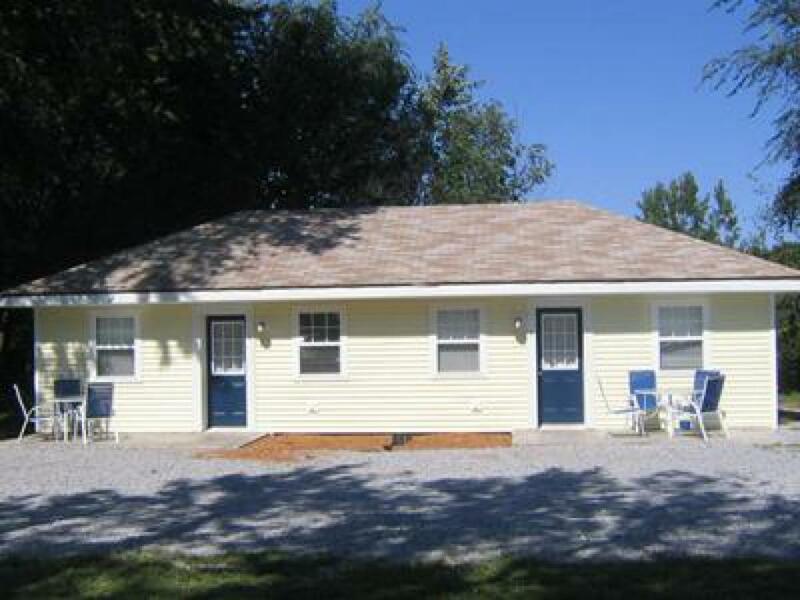 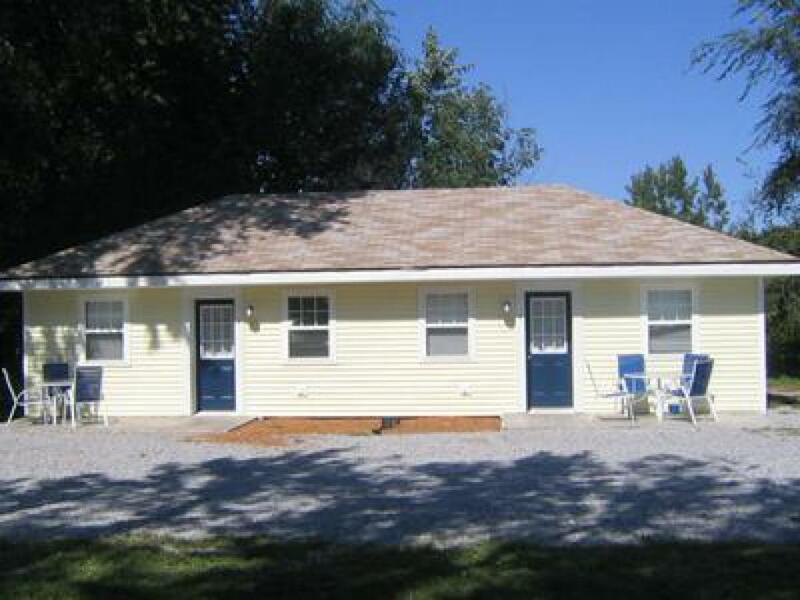 Single cottage is the full building with 2 bedrooms and 1 bathroom. 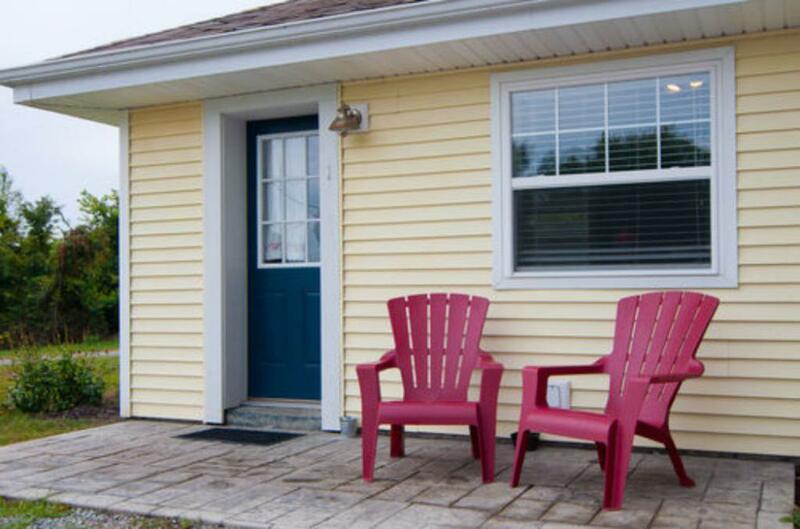 It also has a front patio. 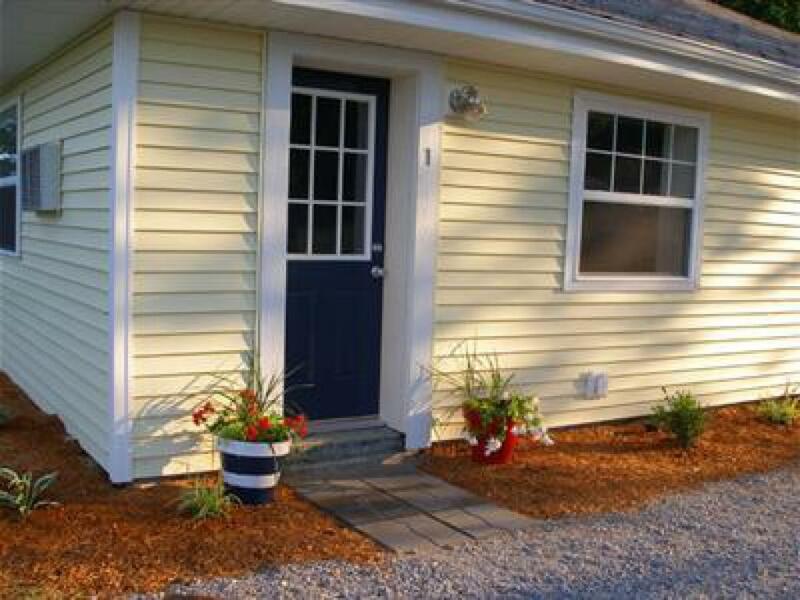 Bungalow cottages are small spaces that live large! 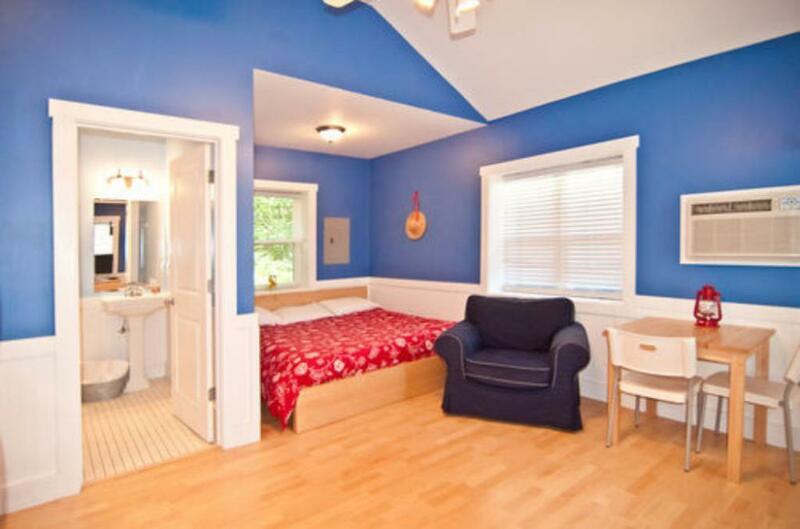 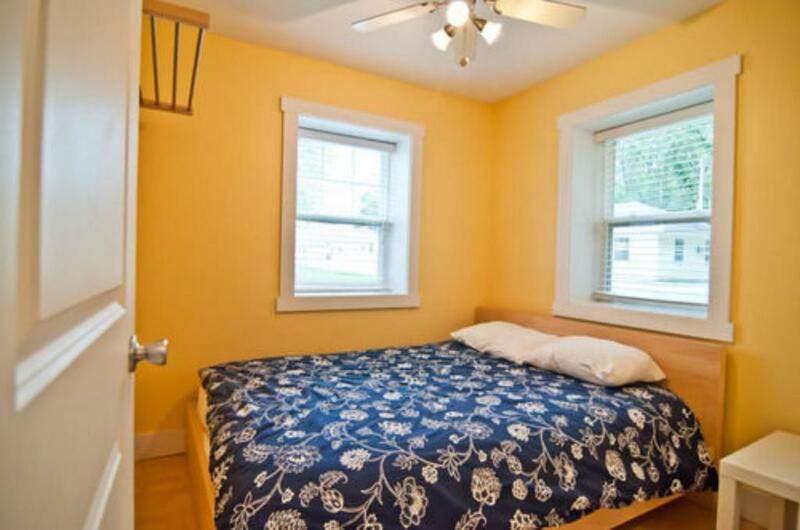 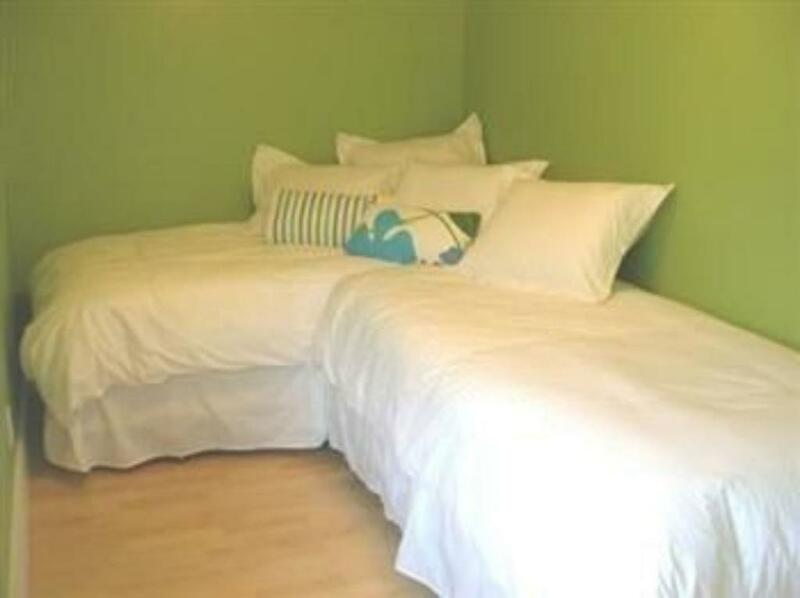 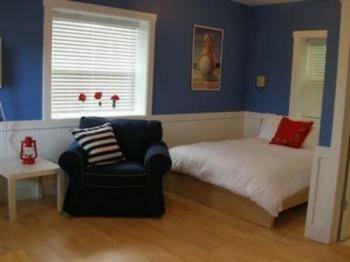 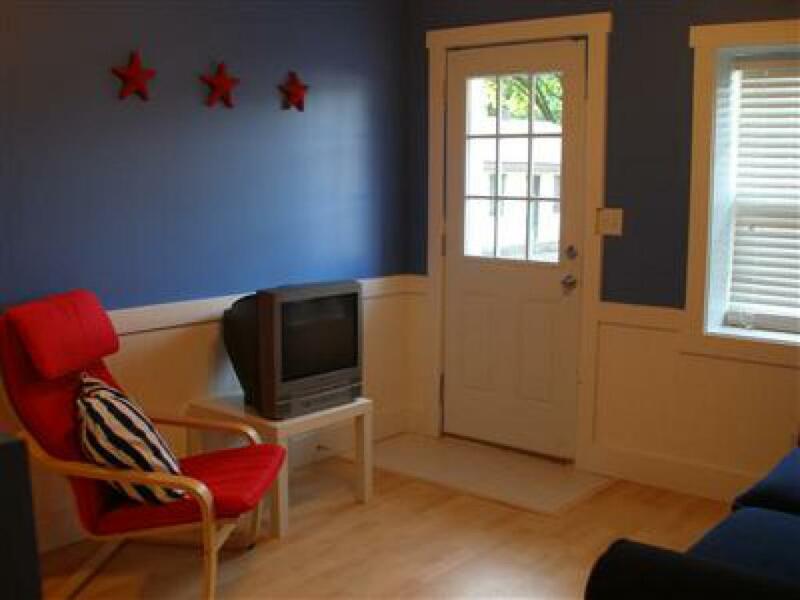 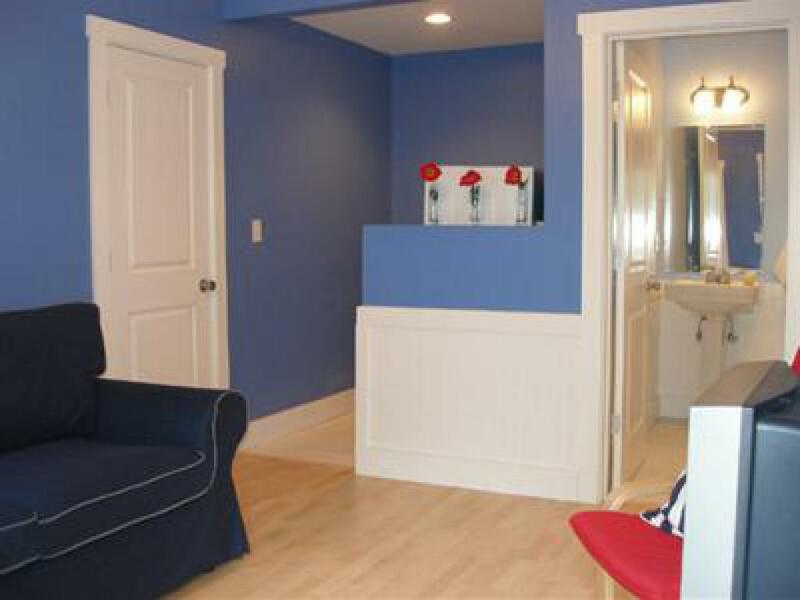 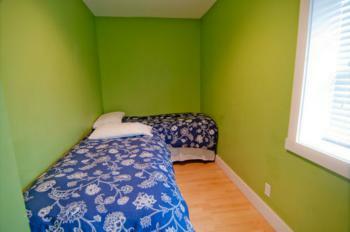 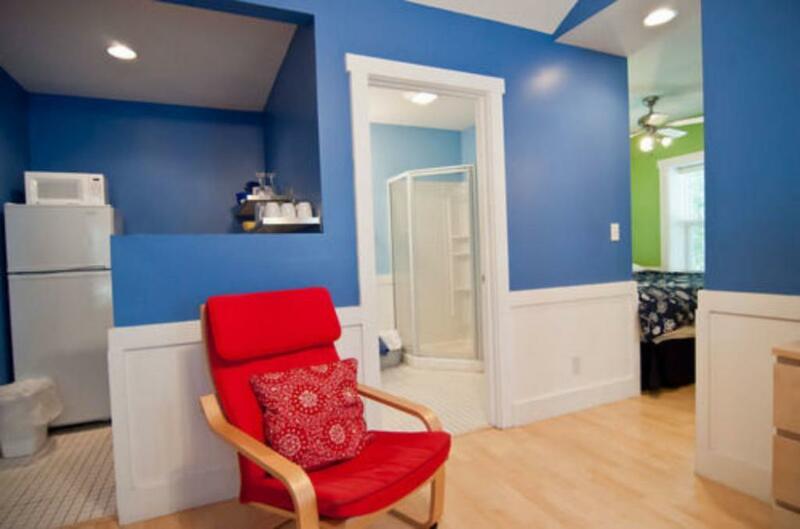 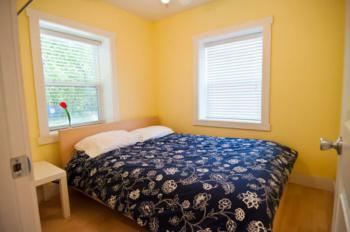 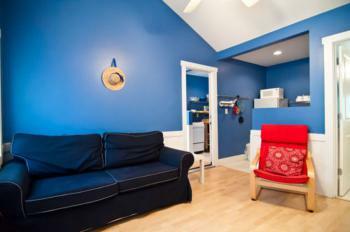 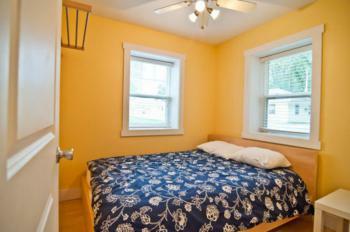 One bedroom plus a sleeping alcove make a great affordable option . Bungalow cottages are small cottages that live large! One bedroom plus a sleeping alcove make a great affordable option . 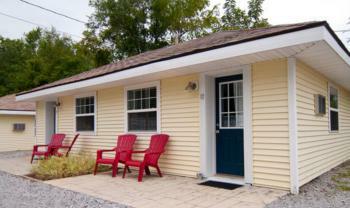 Our largest cottage that is perfect for a big group! 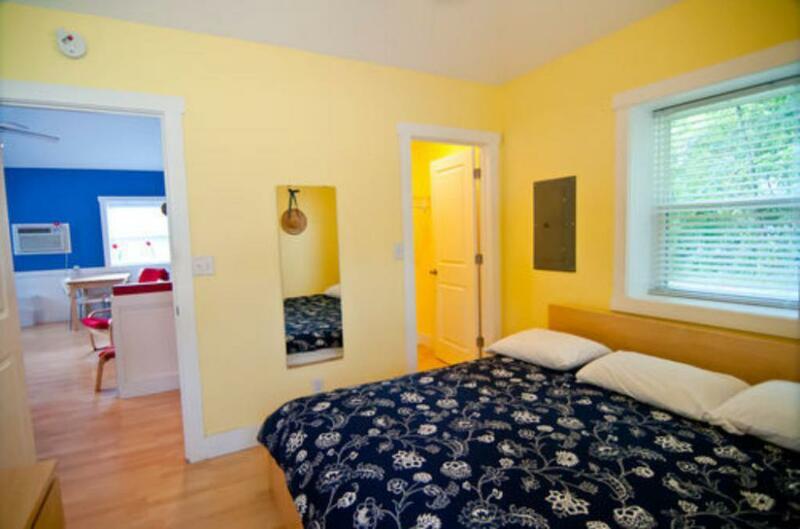 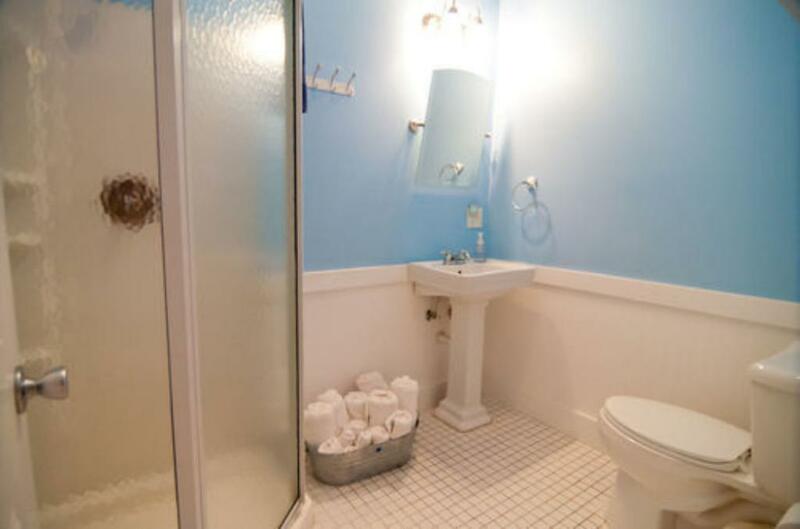 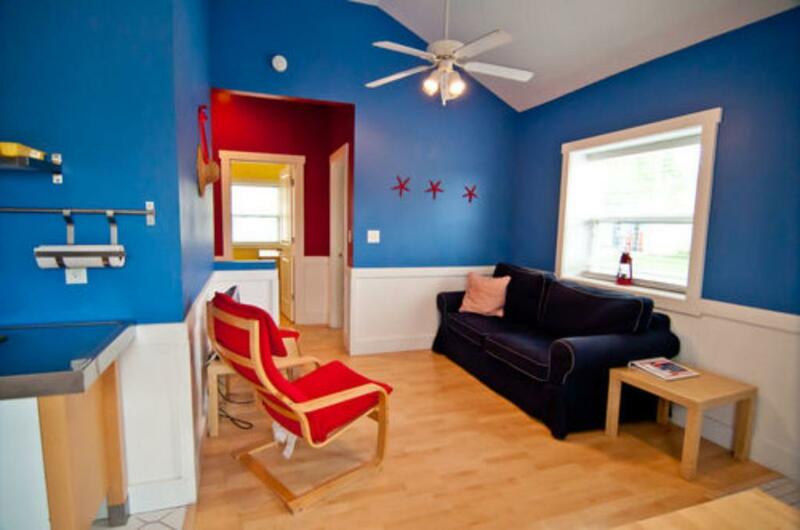 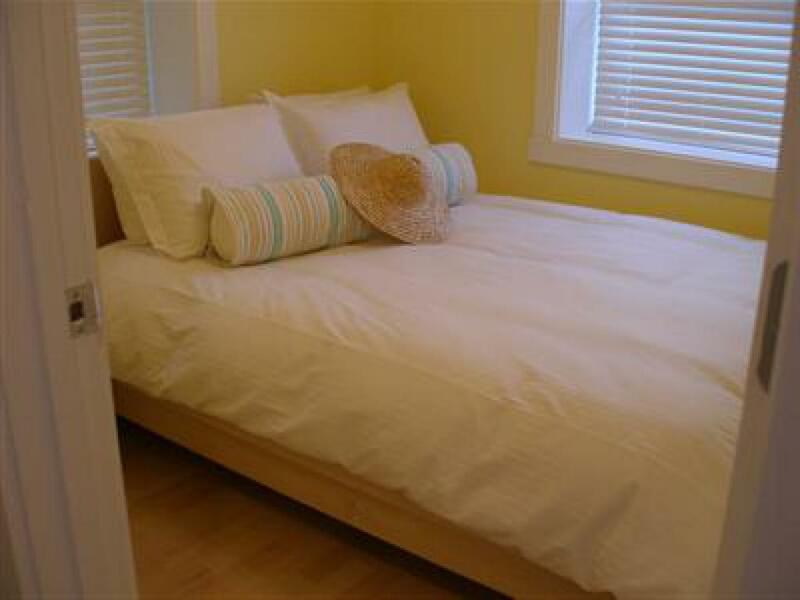 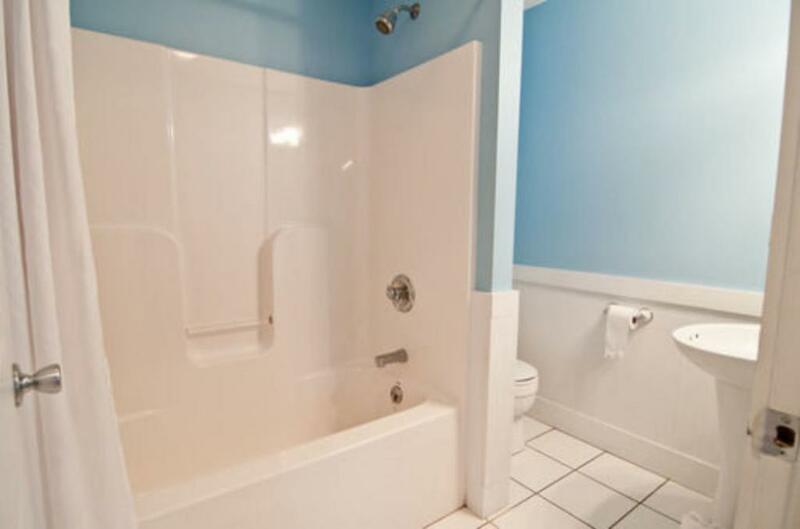 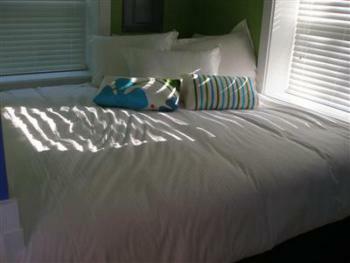 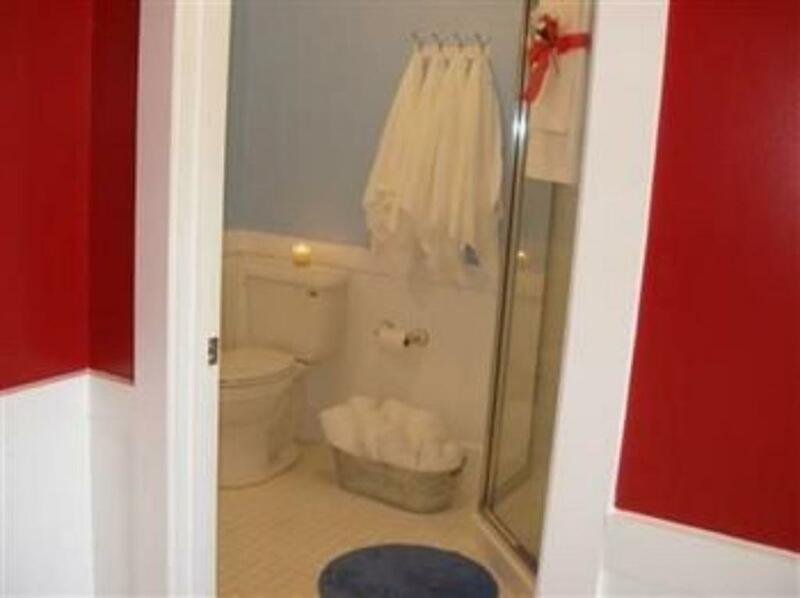 2 queen bedroooms, 2 king bed alcoves, 2 bathrooms and large living/dining, kitchen. 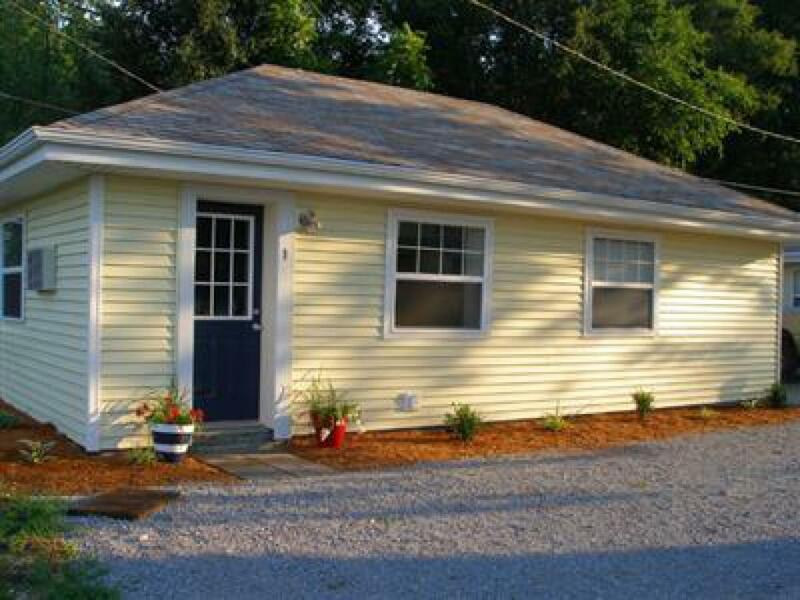 Single cottages are a very nice sized 2 bedroom in its own individual building (not a duplex). 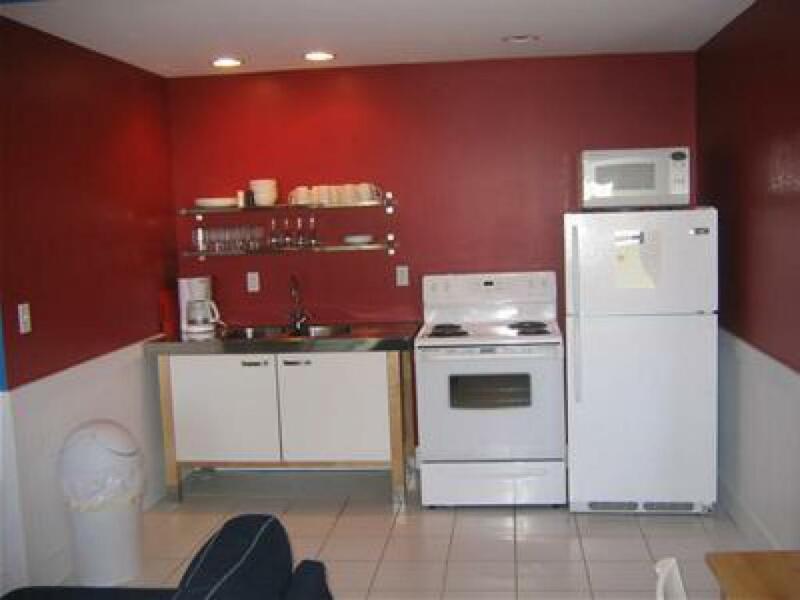 Studio unit is the size of a hotel suite with a kitchenette and King sized bed. 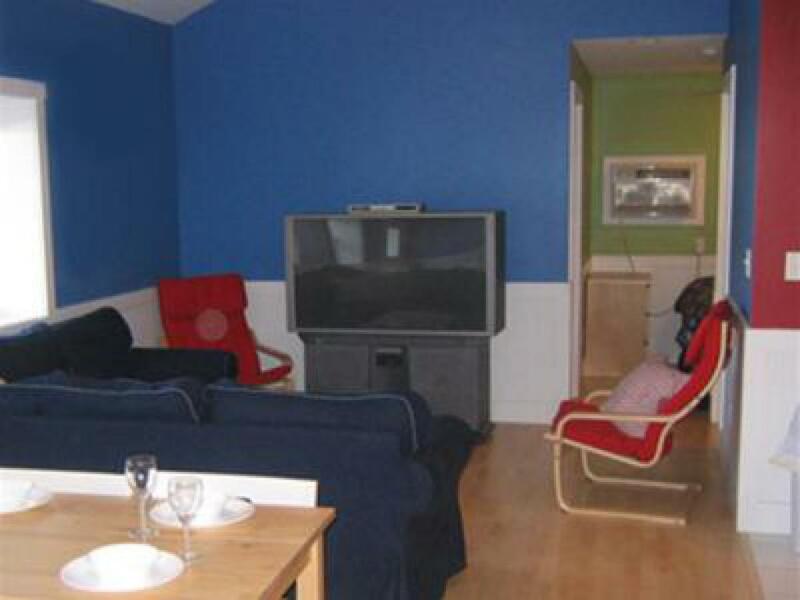 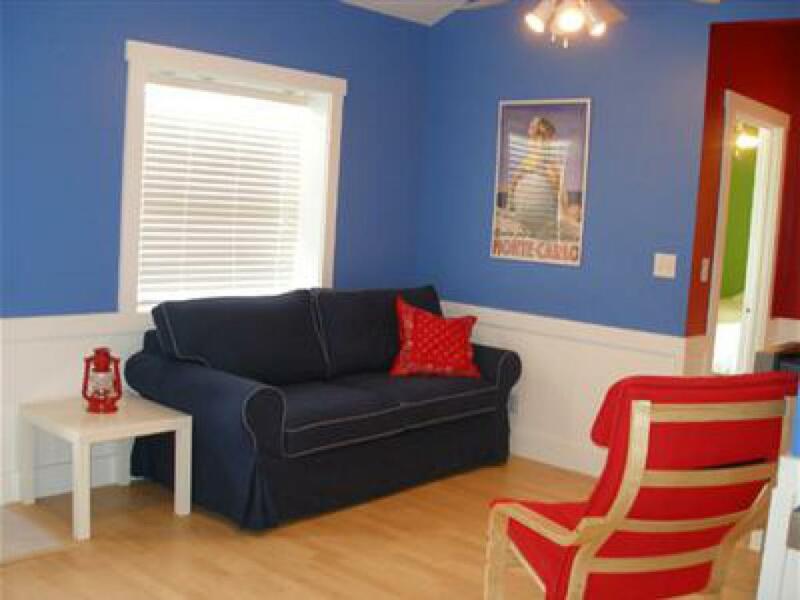 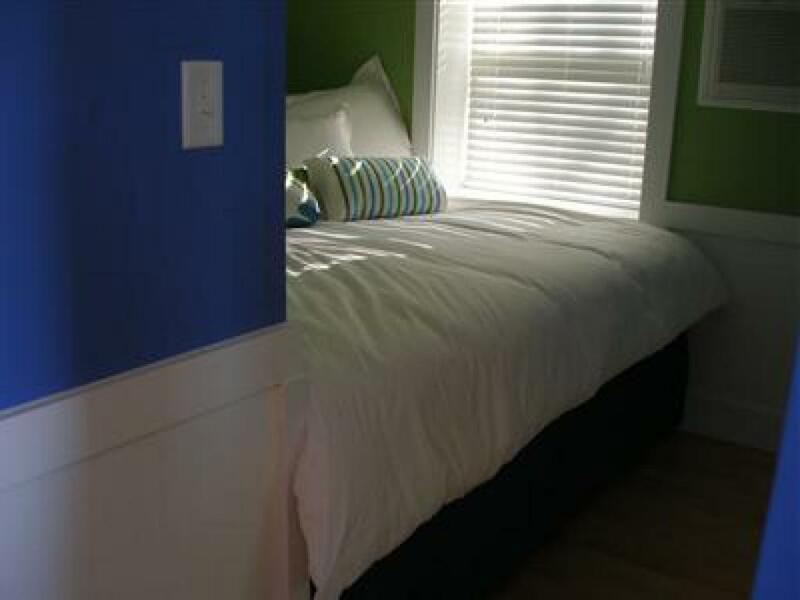 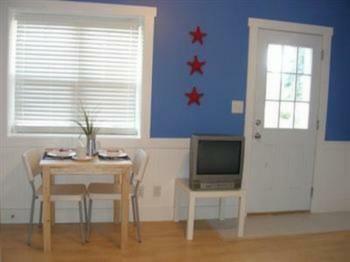 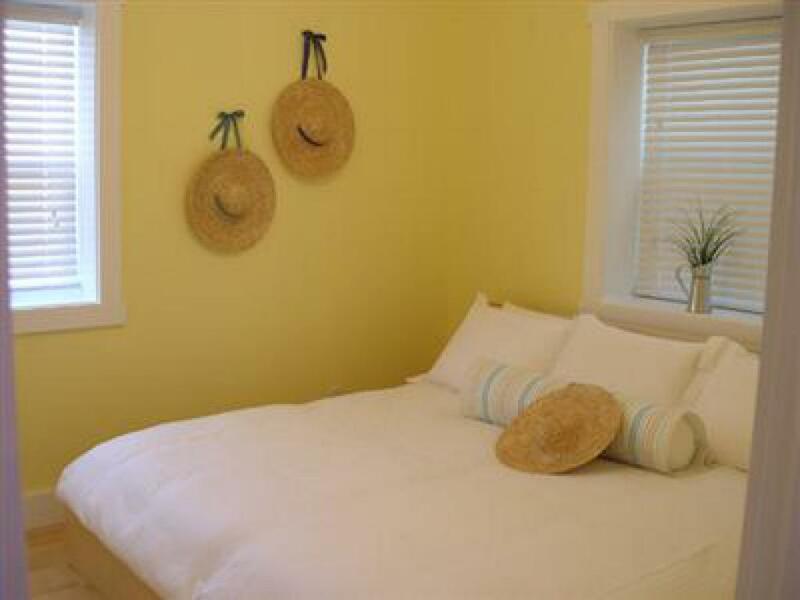 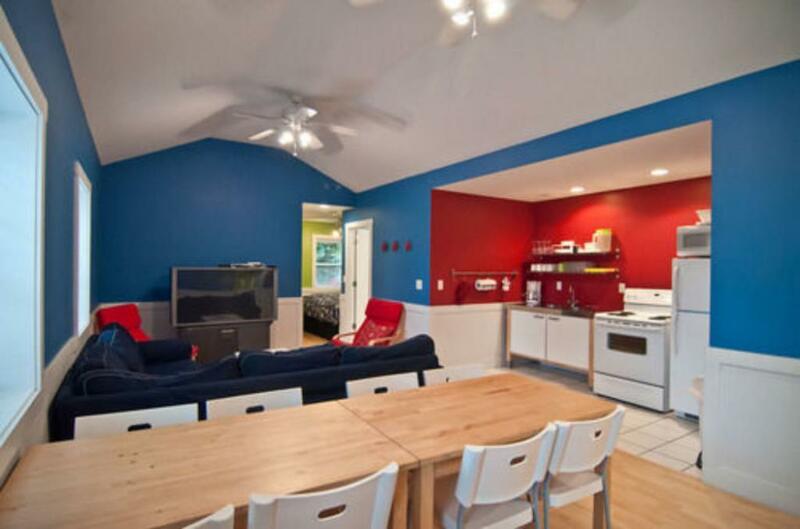 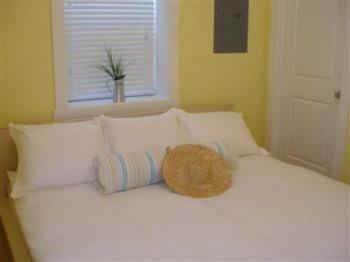 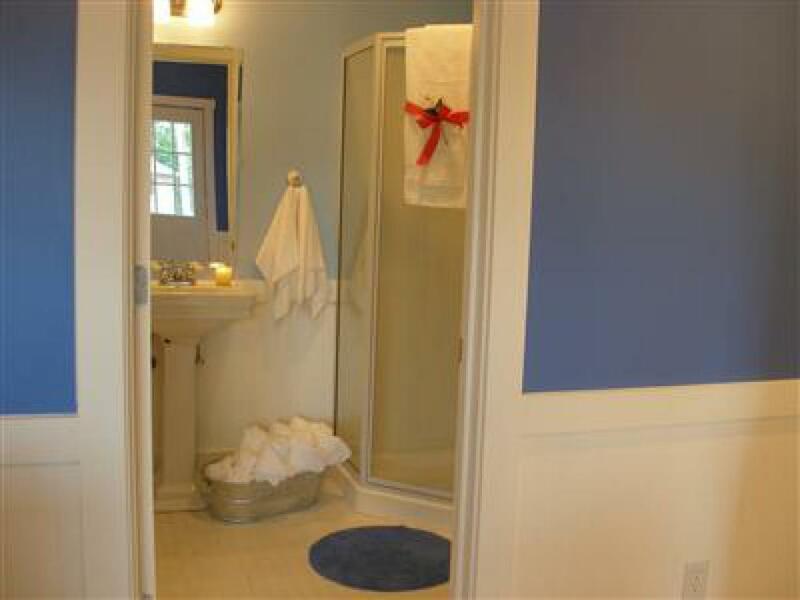 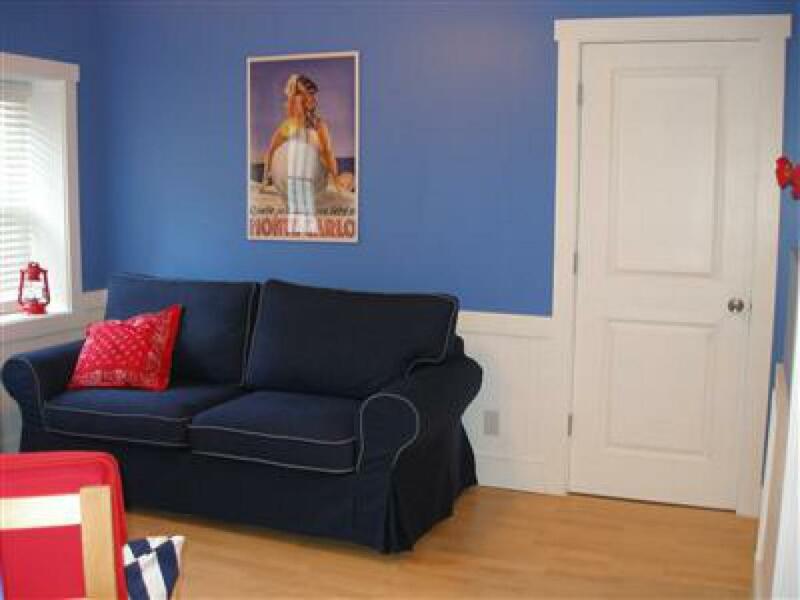 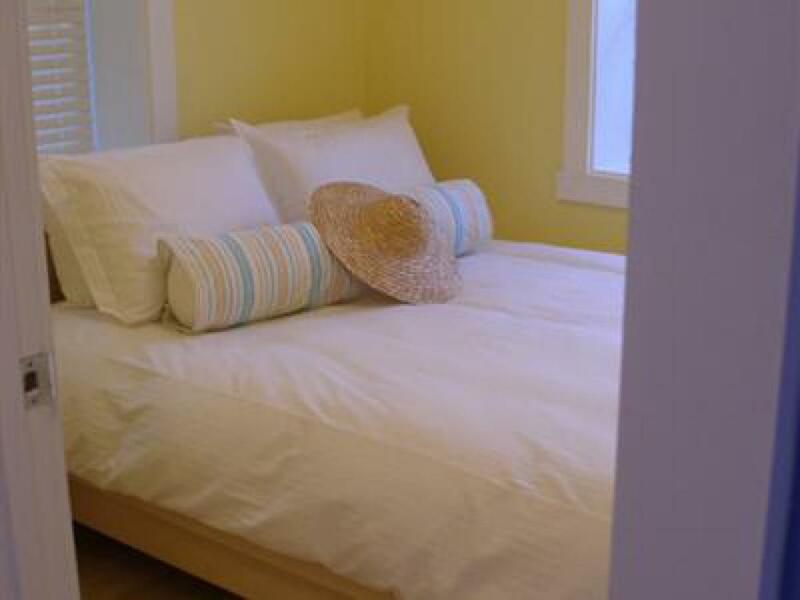 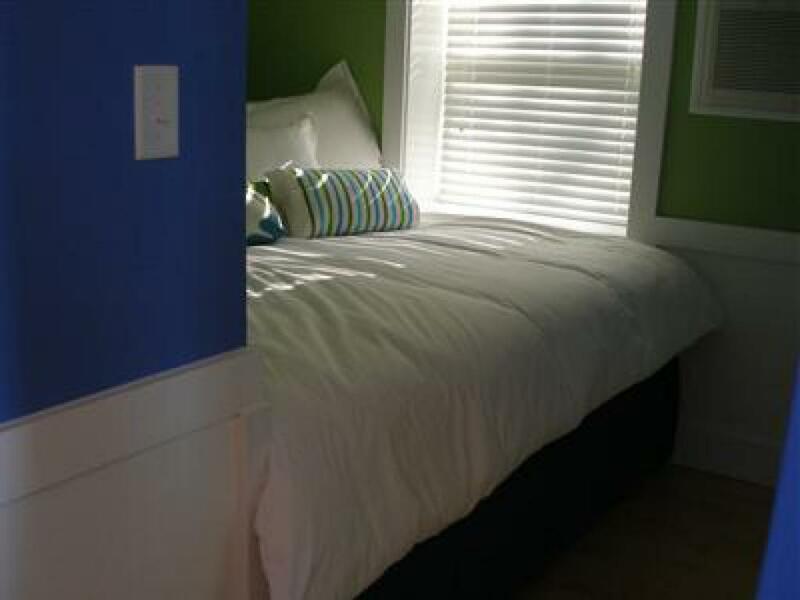 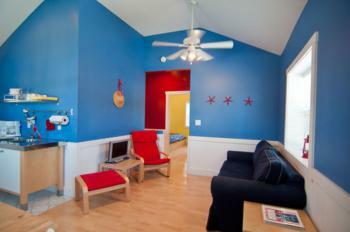 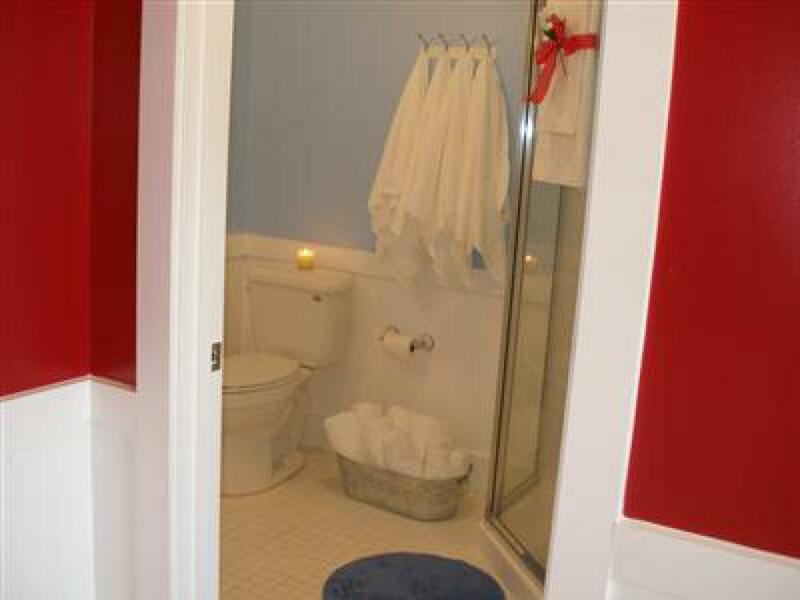 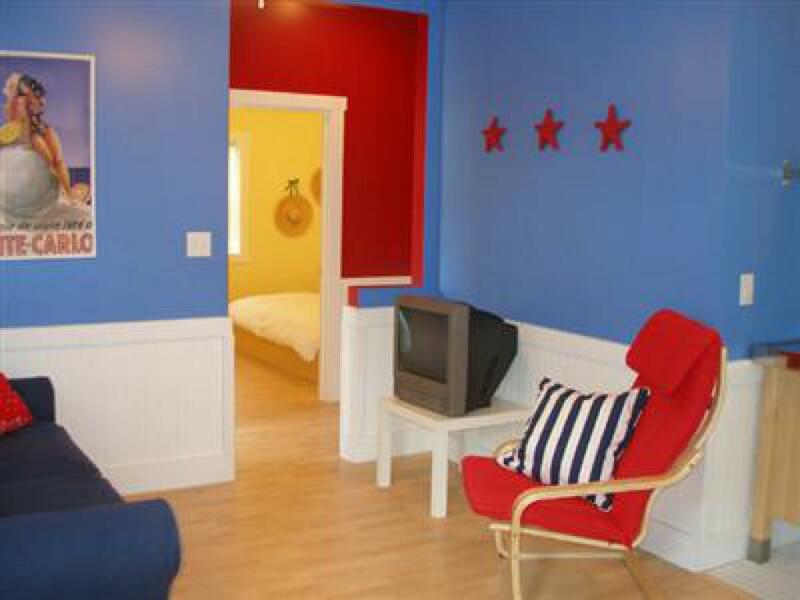 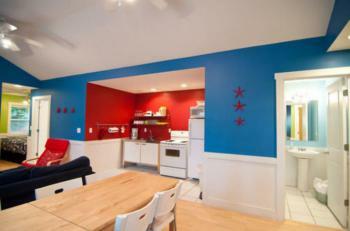 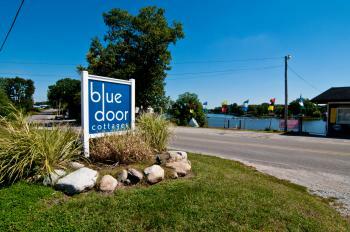 Blue Door Cottages is the perfect place for your vacation or reunion. 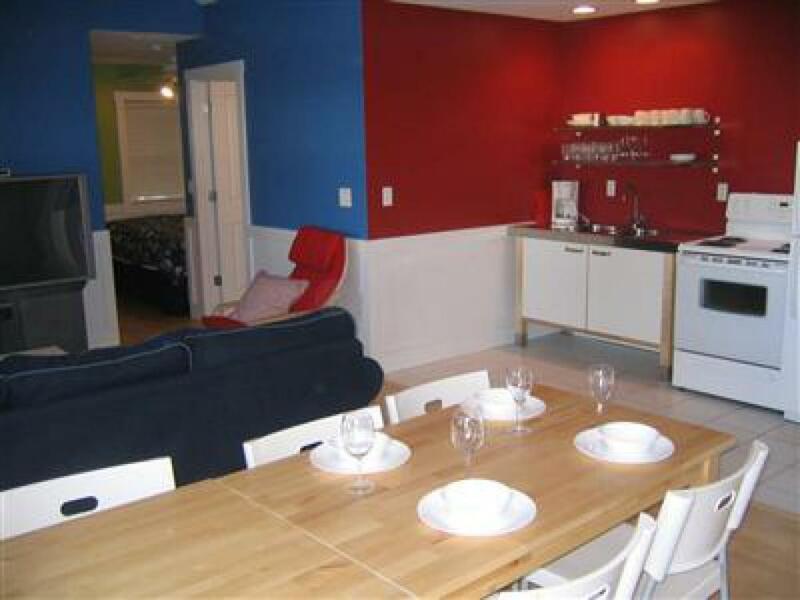 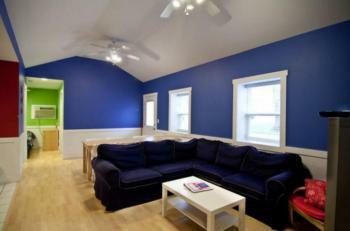 We have 13 cottages with four different floor plans to choose and can accommodate 2-60 people! 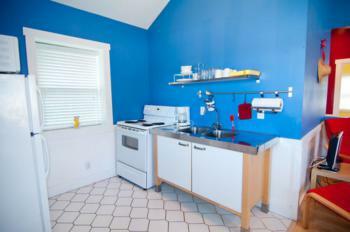 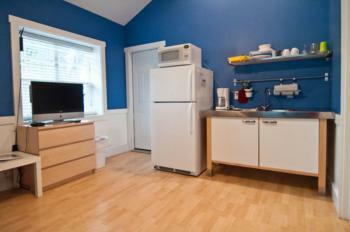 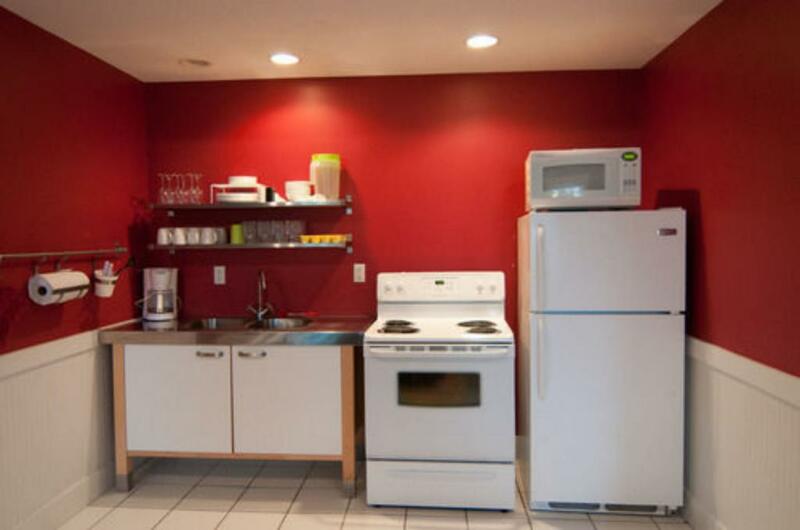 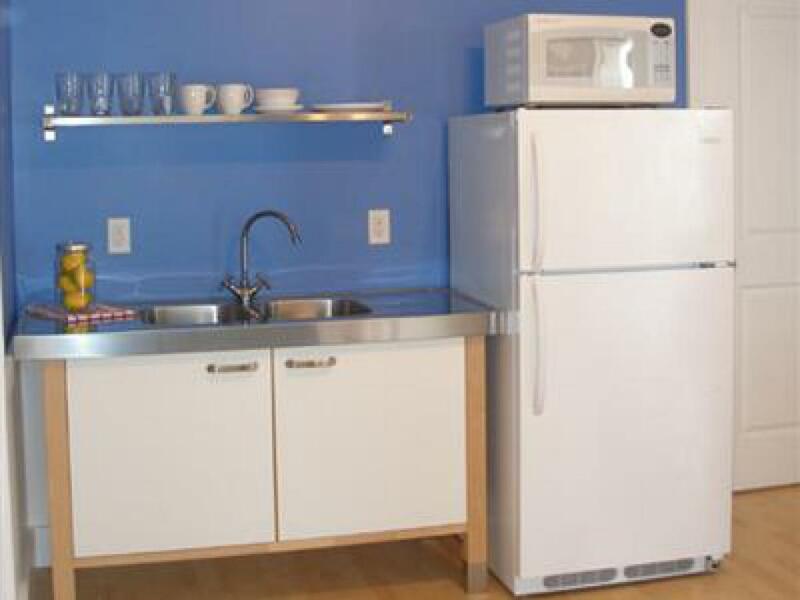 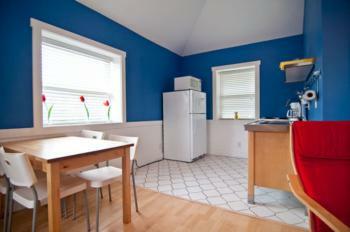 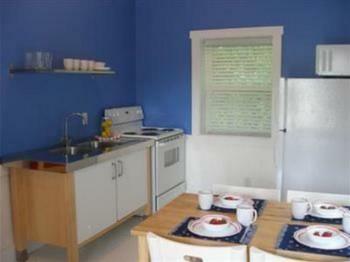 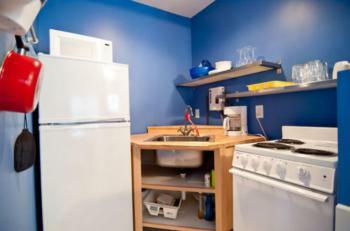 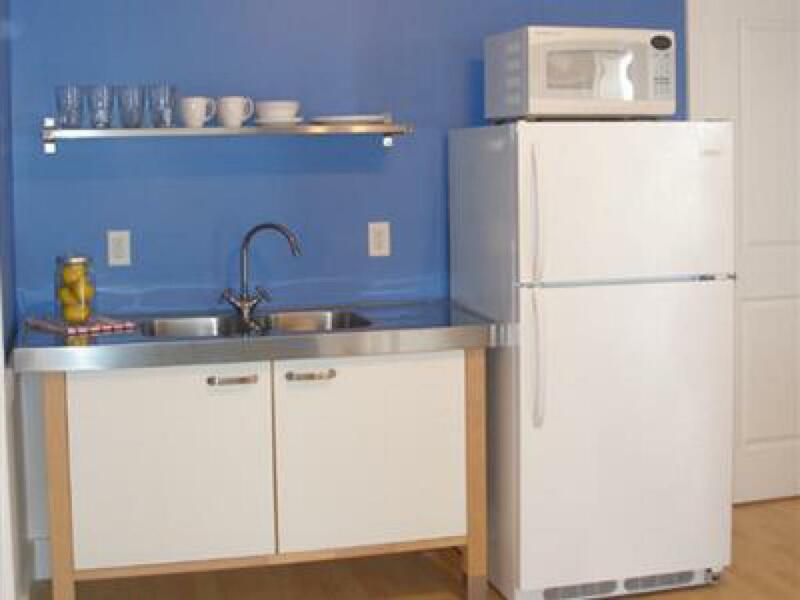 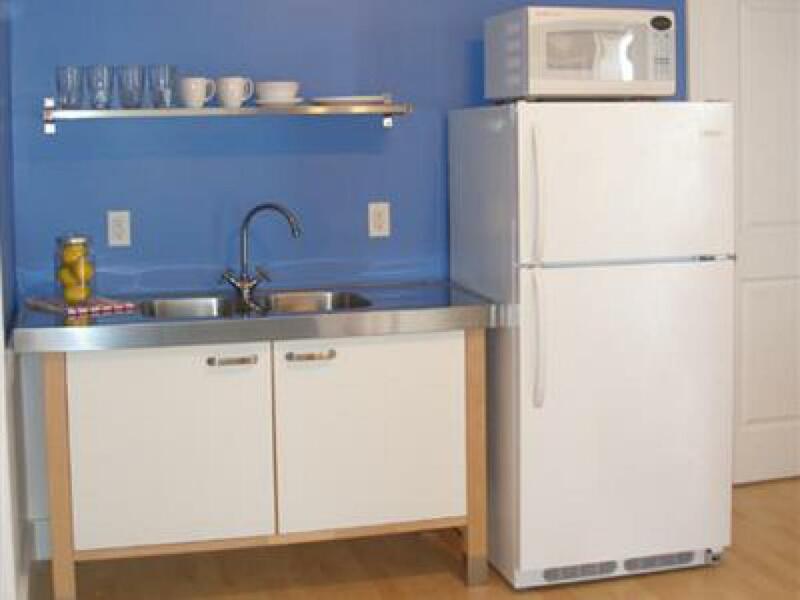 Most of our cottages have kitchens and are stocks with your kitchen needs. 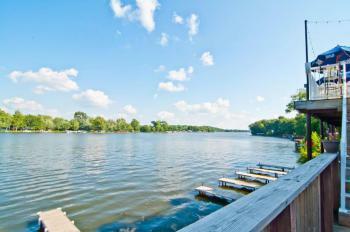 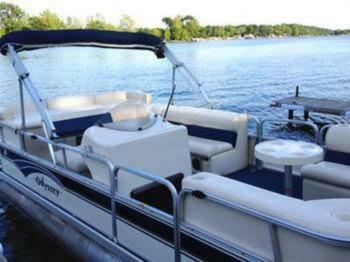 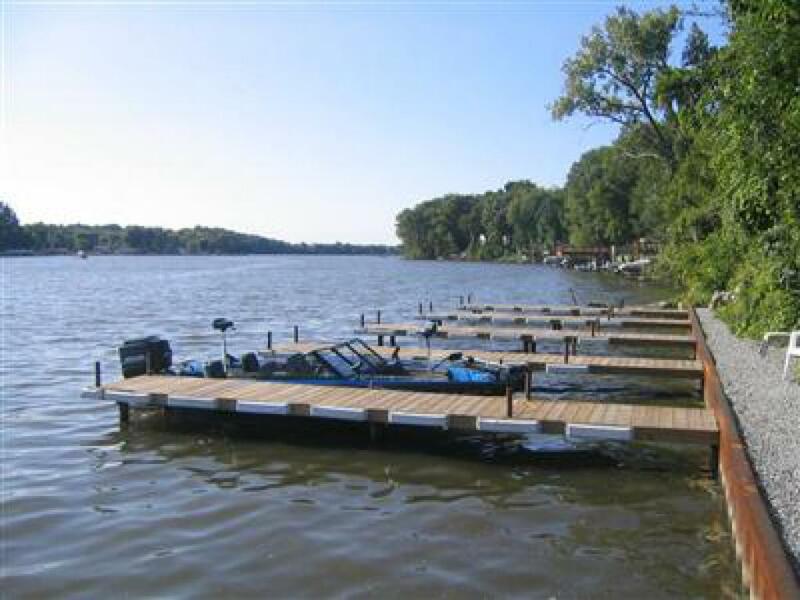 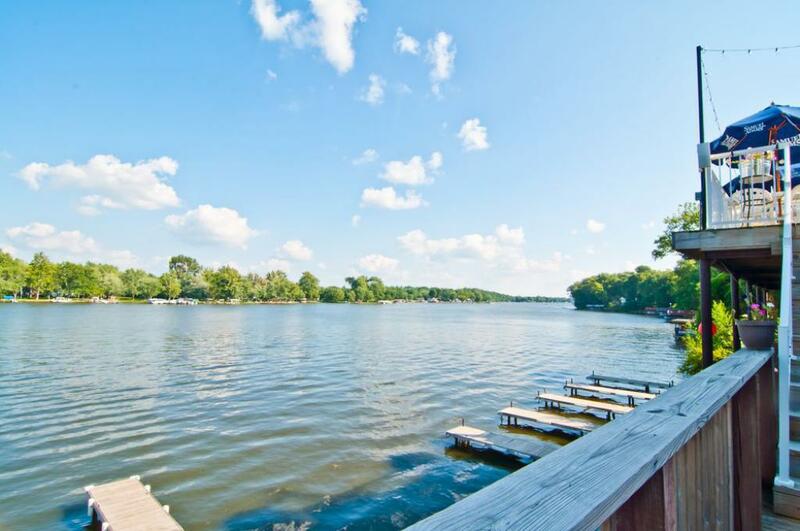 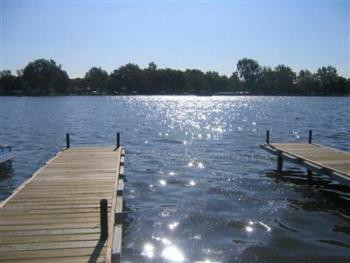 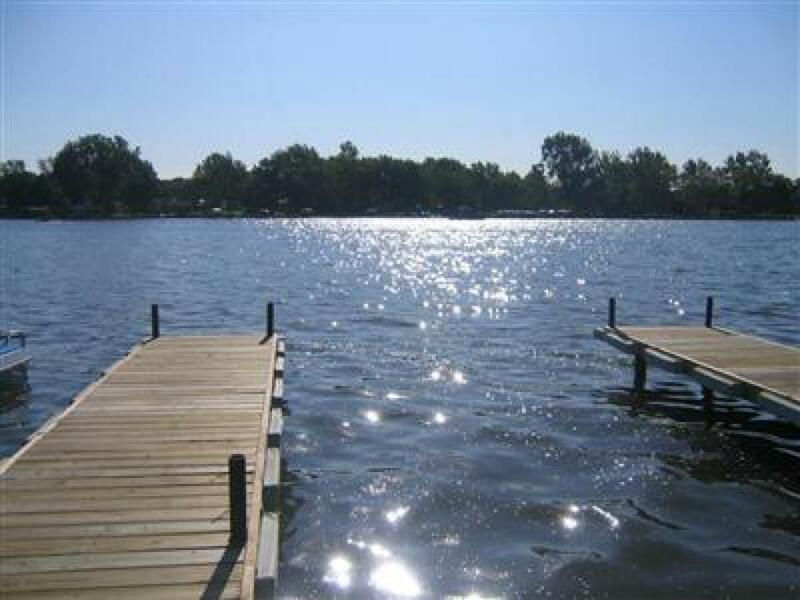 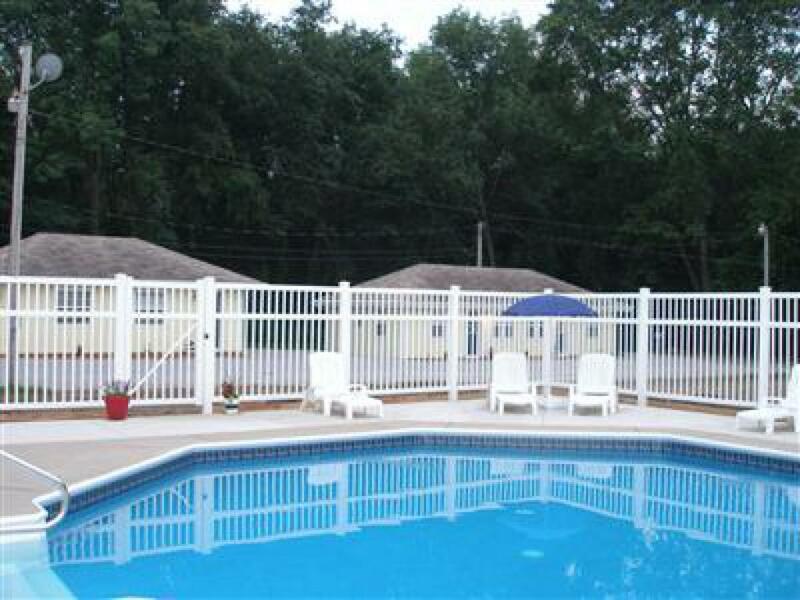 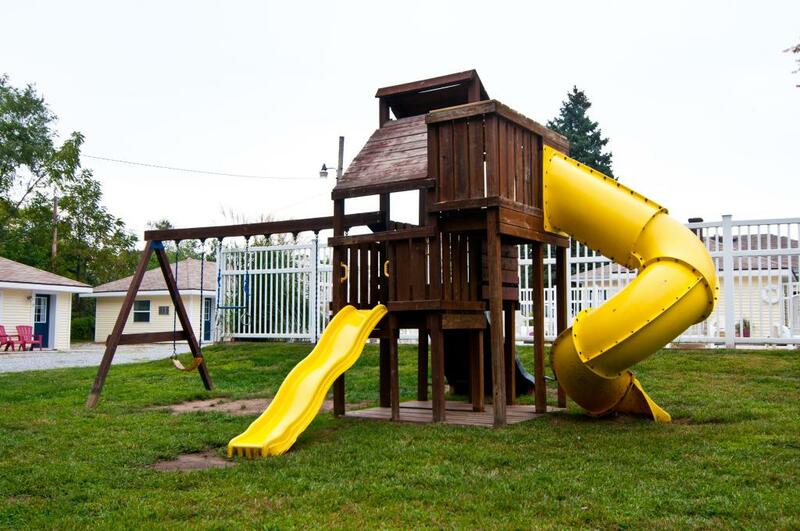 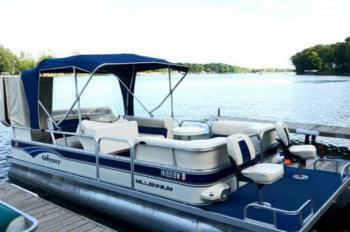 Amenities include pool, boat docks, bon fires, grill, and a playplace for the kids. 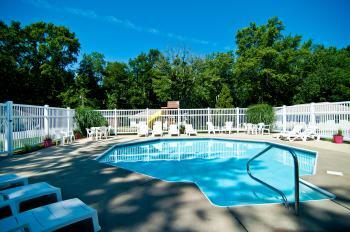 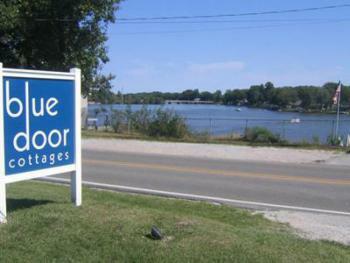 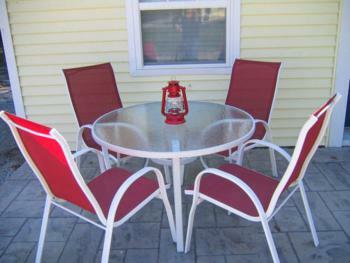 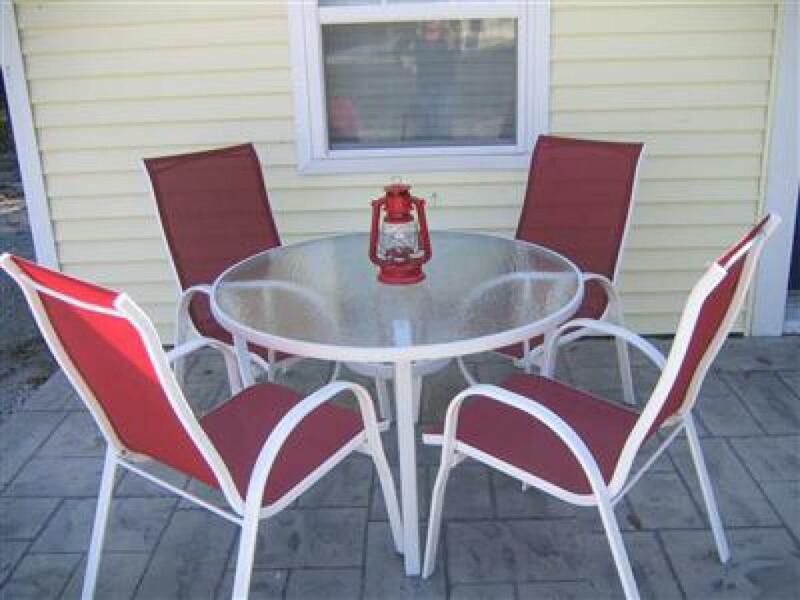 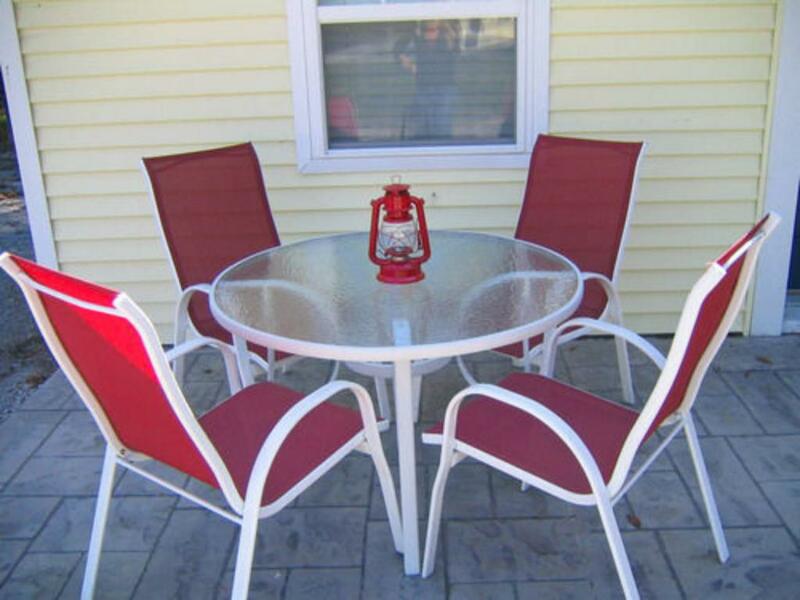 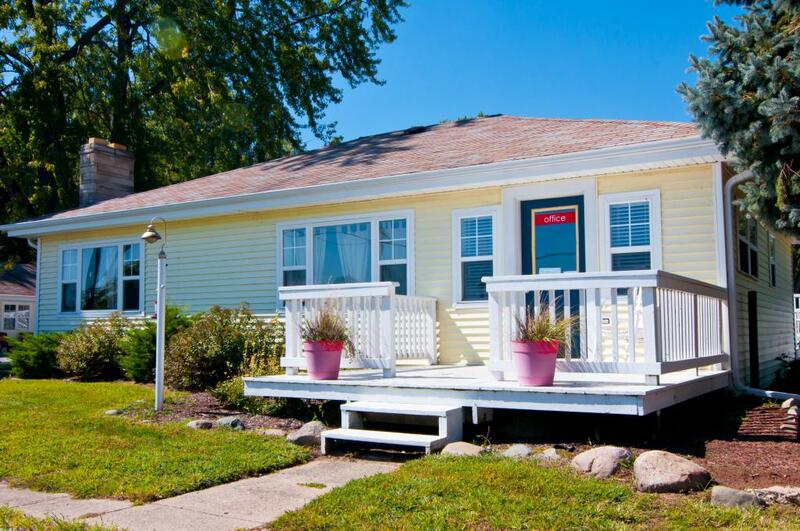 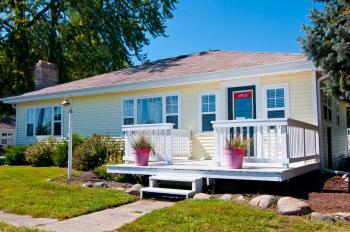 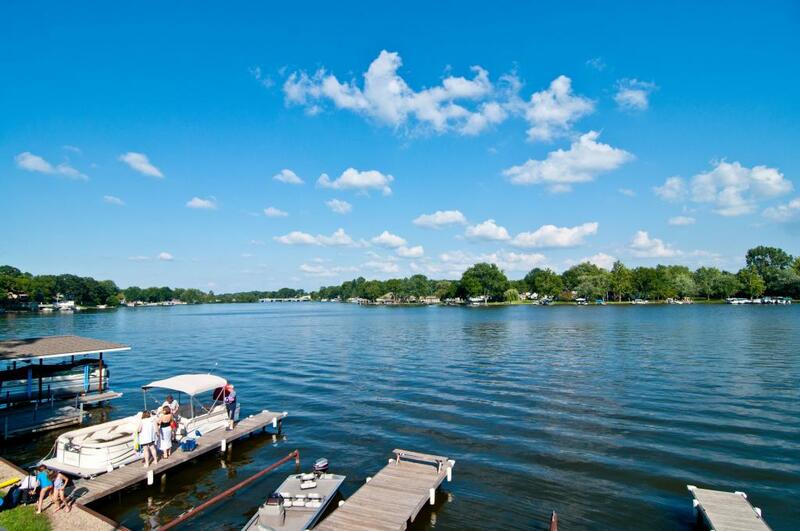 Just 5 minutes to Indiana Beach Amusement Park and Tippecanoe Country Club. 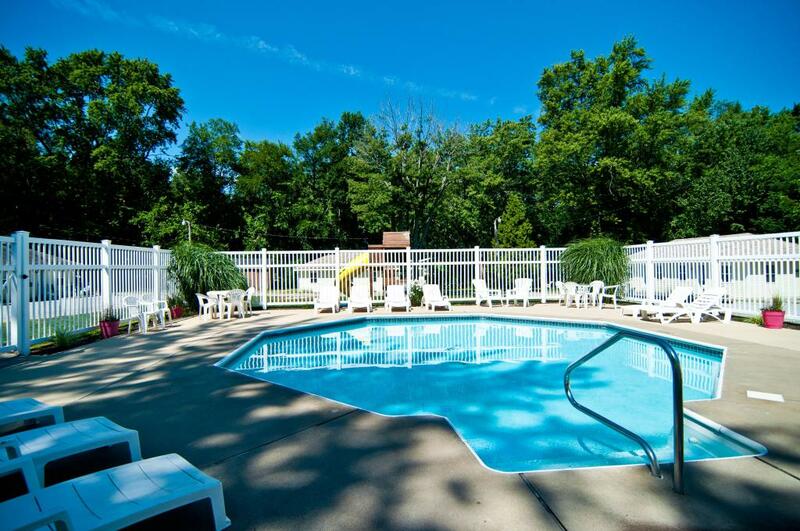 Make priceless memories here.